20-Apr-2019 UNVEILING A POTENTIAL UPTREND COUNTER WITH LIMITED DOWNSIDE RISK !!! 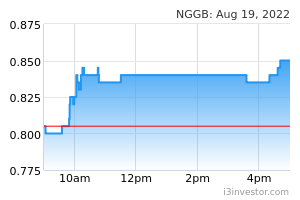 Nextgreen Global Berhad is a Malaysia-based investment holding company. It is primarily engaged in the printing of magazines, general publications, directories, company annual reports, as well as brochures and pamphlets. The company is organized into five reportable segments comprising Printing and Publishing, Manufacturing Using Green Technology, Property Development and Management, General Construction and Investment Holding. Its primary geographic markets are Malaysia, Nigeria, Kenya, and the Republic of Palau. The majority of its revenue is derived from Malaysia. jutawansenyap Jerung hold the price in order to facilitate PP fully sold. Once PP ready to list, it will rocket.Bursamaster,just let it fly loo.. technically chart is bullish already..
sham2020 potential stock is it Pilotsport ? jjfighter i don't think it is a potential stock because now the new generation go inside printing factory and force the old worker resigned.Everyone know.So printing business will be drop and Pekan factory not yet start, how it become a potential stock? crazystocker can explain how bad ? paper. 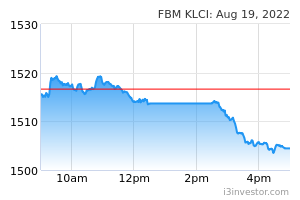 In view of the foregoing, the board is of the view that the Group will perform satisfactorily in the financial year ending 2019.
ionlywanttoearn The company is slowly go back to its core business..
jjfighter Maybe management don't know to use the money, 2015 right issue is for Pekan project, after private placement also for pekan project,now private placement also for pekan project.All announcement is MOU only nothing move on.They just use announcement goreng share only. predictor1234 can somebody share a picture if there's any development in pekan? pokerpro88 suppose to open april 2019....delayed from september 2018....what excuse next? pokerpro88 if really open then i will definitely buy! JokerSign Pokerpro I think not corporate with the china neucleur company already. This is the old news. Marketnews MOU doesn’t mean anything. JokerSign Pokerpro, as I understand 2 years from corporate with Japan only develop phase two. Now still phase one right? sherlockman there are 2 types of scams in the world ...the long con and the short con. Go figure. A company can have a MOU to sell something that they have not even produced. That takes the cake! tondulotud is the news related to nggb ker? Ameera Yesterday big volume at 0.44... big buy! Trouble Huat Next week. 0.5 incoming. Ameera Slowly ... slowly... UP! 50 cents next week!